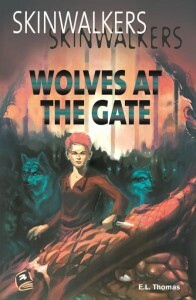 My latest book, Wolves at the Gate, has just come out from HIP Books. I haven’t even seen a copy yet. They’re in the mail, apparently. I’ll be updating my Books page as soon as I get a look at the back cover text. 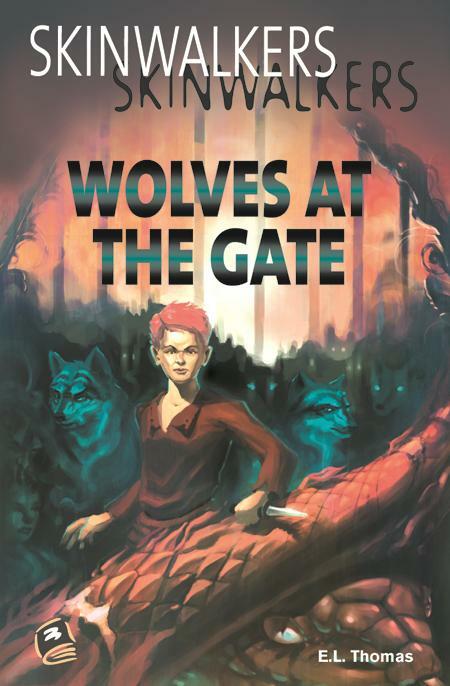 Wolves at the Gate is part of another fantasy series written with Cheryl Rainfield and Deb Ouellet, but this time, the books share the same world but deal with different characters. That means you can read them in any order or combination that you like. My character, Ren, is a thief who learns over the course of the book that he is a Skinwalker — someone who can choose between two shapes. Ren needs to decide whether learning to use his new skills is worth the risks that come with joining a community. Human or fox, loner or pack member. And he has to decide soon, because the Skinwalkers are planning an attack on the king. This is a novel for reluctant readers, which means it’s a fast, action-packed read. It’s targeted at readers in about grade five and up, but written at the grade three reading level. Charlie Hnatiuk did the illustrations. I had fun creating Ren’s world, and I hope you’ll enjoy reading about his adventures. Here they are! Matching buttons for Amazon, Chapters and others. Please note the addition of Blue Heron Books, my lovely local bookseller. Shelley is so supportive, she deserves her own button. There’s also a “Find Local Bookseller” button for those of you who don’t live in Durham Region, Ontario.